I can’t even deal with this, guys. I am so excited about this recipe. This was my first time ever making this dish, which just so happens to be my favorite dessert. Ever. I can’t believe it took me this long to try it. It’s so much easier than I thought! It is a little time-consuming, but the results are so worth it. Add the sugar, and whisk until well combined. Add the heavy cream while whisking. Add the vanilla extract and whisk until color is consistent. It should be a pale yellow. Move your top oven rack to the bottom third of the oven, and preheat to 325 degrees F.
Place 4 (4-inch/8 ounce) ramekins in a shallow baking (or casserole) dish, making sure they don’t touch each other. Boil some water (amount depends on your baking dish size, but 4 cups should be more than enough) either in a kettle or saucepan. Pour boiling water into the baking dish to serve as a water bath, making sure not to splash water into the ramekins. Fill until the water covers the bottom half of the ramekins. Fill the ramekins evenly with egg and cream mixture. Carefully place the baking dish in the oven and bake for 30-35 minutes. Check them at 30 minutes. You want the middle to still jiggle a bit. Not like liquid, but more like jello. Please be very cautious when handling this. It’s easy to splash boiling hot water on your hands. When the custard is done, carefully remove the dish from the oven, and move the ramekins to a wire rack or heat-safe surface to cool. I just grab mine carefully with an oven mitt. Let them cool completely, cover each ramekin with plastic wrap, and place in the fridge for 2 hours to set completely. Remove the plastic wrap, sprinkle each dish with about a tablespoon of brown sugar, and spread around gently and evenly to create a fine layer. 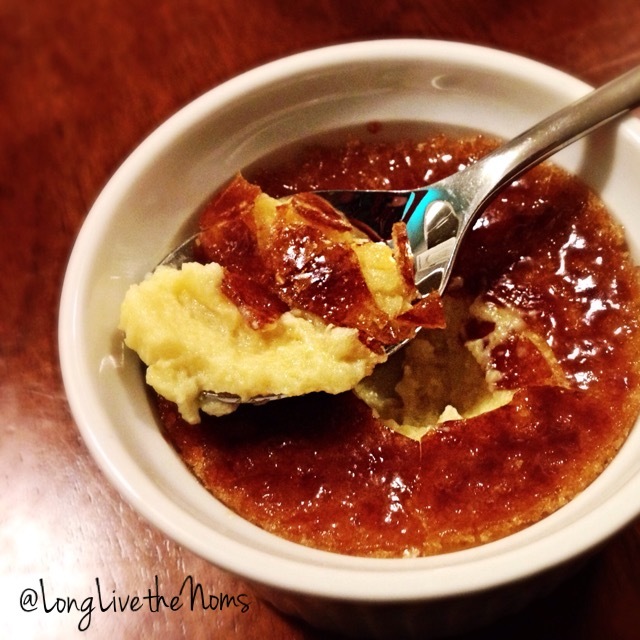 Use a crème brûlée torch to brown the sugar, using in a circular motion until the tops are browned and shiny. It’s easy to burn the sugar, so be sure you constantly move the torch around. If you find that the sugar has holes, and you can see the custard peeking through, just add a bit more sugar, spread around evenly, and torch again. If you don’t have a torch, you can broil these in the oven until the sugar caramelizes and hardens. Place your oven rack in the top third of the oven, and set to high broil. Watch them closely, because the sugar can burn easily this way as well. This is the best part: Crack the crust by gently tapping with the back of your spoon. Then just get after it. This recipe makes 4 individual servings. This dessert is pretty much a custard with a crunchy, sweet topping. 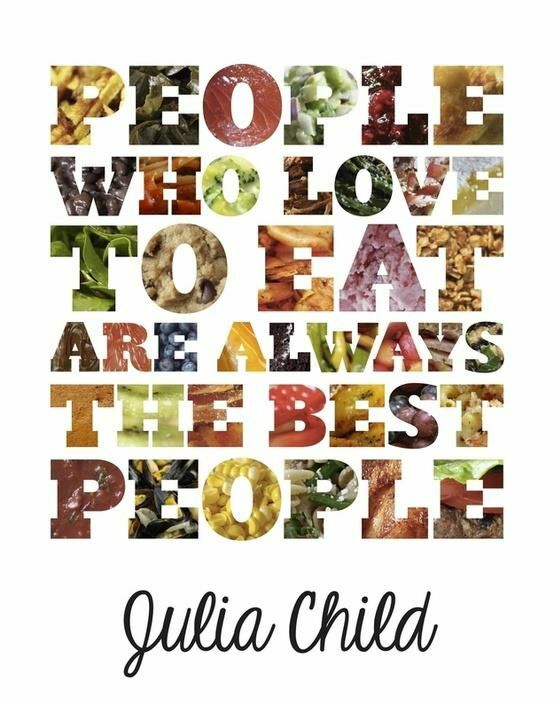 Simple, but truly delicious. Traditionally, there are a lot more steps including heating the cream and sugar, tempering them into the eggs, and straining the mixture. I didn’t do any of this, and I am more than pleased with my results. You can make these ahead of time and store them tightly-wrapped in the fridge for a few days, and you can even freeze them for a few weeks. Make sure to thaw them before torching the topping. You want them warm on the outside and cool in the middle. If any condensation collects on top of the custard, be sure to gently pat it away with a paper towel before torching. I always found this dessert to be very intimidating when I thought about making it at home. It just goes to show that you never know until you try! Don’t ever let the fear of failure keep you from trying new things. What are some recipes that have intimidated you? Did you make them and overcome the fear? Let us know in the comments. Posted in Sweets/DessertsTagged crème brûlée, desserts, homemade, sweetsBookmark the permalink.